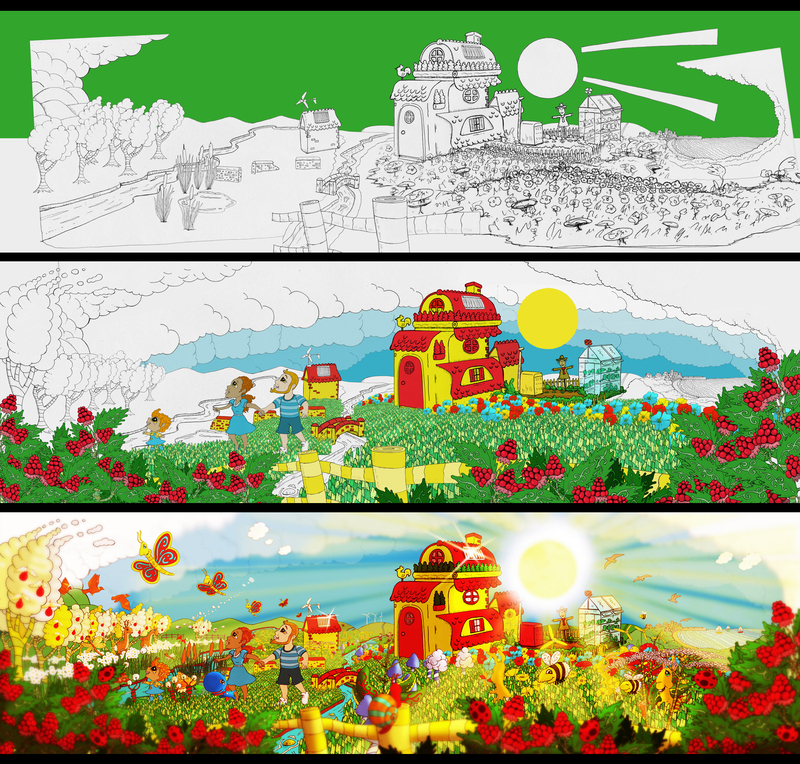 Earlier in the summer I was tasked with creating a ‘wonderland-like’ landscape, populated with colourful creatures and plant-life, to help establish a brand identity for a company called Happy Energy. There were definite challenges in creating a composition that was bustling with life and ‘happy energy’ without compromising the focus on the main house and the family in the image. There was lots of adding things in and taking them away again. But even when things started to look balanced it was still one of the busiest images I’ve worked on. See development stages below. This entry was posted in Illustration and tagged countryside, garden illustration, home, illustration, landscape. Bookmark the permalink.